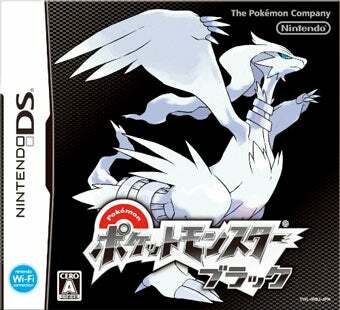 Pokemon Black and Pokemon White continue to be super effective at maintaining a stranglehold on Japan's software sales charts, easily moving past 4 million copies sold overseas and handily defeating Kirby's Epic Yarn for the Wii. While Kirby's soft and fuzzy new Wii game opened with respectable sales, it's clear Nintendo should've released two versions, one in Kirby pink, one in Fluff blue, to double its sell through. But Kirby's Epic Yarn did manage to outsell another new contender, Square Enix's Lord of Arcana for the PSP. And that's pretty much it for new games on Media Create's sales chart, with the exception of NBA 2K11, which debuted in 19th place. For the bestselling games in Japan for the week of October 11 to 17, read on.